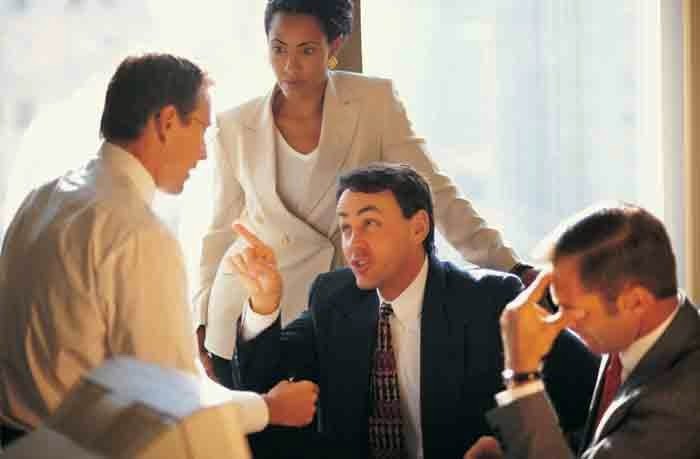 What can you do to decrease the harmful effects of a negative team atmosphere? A negative team atmosphere and negative relationships between team members can harm both employees' job satisfaction and team performance. Researchers De Jong et al. (2014) compared three different ways of dealing with such problems. They called the first approach communication density with which they meant that team members had frequent contact with one another and tried to improve the atmosphere. The second approach which was called member exchange referred to team members assisting one another, and giving help and feedback to one another when needed. The third approach, task-interdependence meant that team members had to work together to accomplish tasks in such a way that they were dependend on each other's contribution. Results: the findings were that approaches 2 and 3 were effective but approach 1 was not effective. How frequently team members communicated with each other did not contribute significantly to the neutralization of the negative relationships. But helping and giving feedback and being interdependent in performing tasks did help to lessen the harmful effects of negative team relationships.